It never fails. The summer weather is nice, or I have a few extra minutes of time to kill before the next activity. It’s moments like these that I wish I had packed something in my car to keep the kids busy while we wait, or to take advantage of the gorgeous weather. 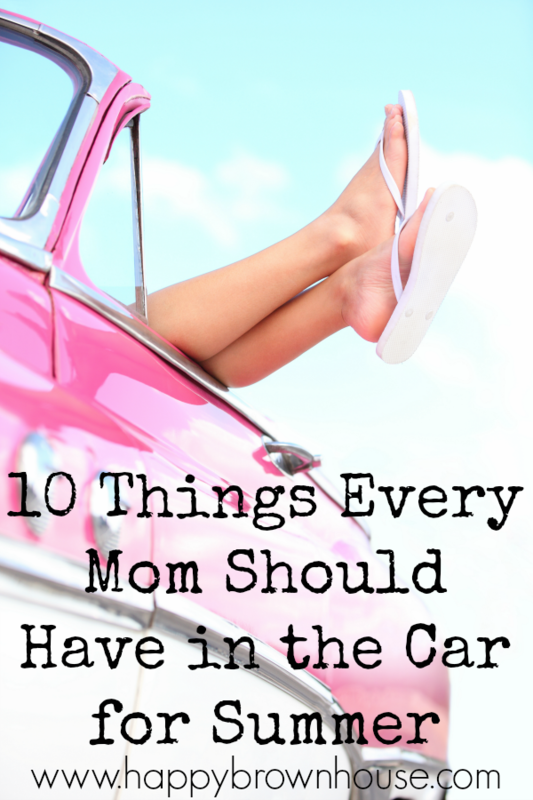 I’ve gathered up what I think are 10 Things Every Mom Should Have In The Car for Summer. A Blanket–whether it’s for an impromptu picnic or a cool night at the ballfield, we keep a blanket in our van year-round. I really like this Tuffo Water-resistant blanket that comes in a carrying case to keep them contained and out of the way. Sunscreen–The sun can work a number on your skin–no matter the season. Be sure to sunscreen up if you’re going to be out in the sun for an extended time. Water Bottles–My kids are never without their water bottles, but I know not everyone carries a water bottle around everywhere they go. If you’ve got the room, put a small case of water in the back of your van so you can hydrate after a quick trip to the park. 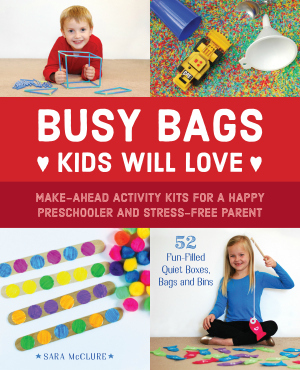 Snacks–grab a box of granola bars, fruit pouches, or snack packs of pretzels–anything! If your kids are anything like mine, they’re always hungry. If you need ideas, see my post about Easy On-The-Go Snacking. Wipes–Even if your kids are old enough to be out of diapers, wipes are a necessity. Wipe hands after playing with antibacterial hand wipes, wipe mouths after eating ice cream, or just keep them around for the accidental spill. Quarters–If you’re going to be downtown near parking meters, you’ll be looking for change. Go ahead and load up the change holder in your car. Sidewalk chalk–We’ve used this at the park when one child was tired of playing and needed to rest, to write love notes in a friend’s driveway, and even at the ballfield when the snacks ran out and big brother was still playing baseball. With just a few pieces in a small container, you can keep a child busy with games of tic-tac-toe or drawing a masterpiece. Ball–Whether it’s a soccer ball for the kids to kick back and forth or a those velcro toss games, having a ball in the car will ensure there’s always something to play. Kite–You never know when a windy day will have you wishing you had a kite handy. Find an open space and let it fly. I really like this Stow’n Go Pocket Kite because it zips away and doesn’t take up a lot of room. It’s the most portable kite I’ve ever seen. Frisbee–Throw a frisbee around in the field by the park. Another cool idea is this frisbee that turns into a ball when thrown!